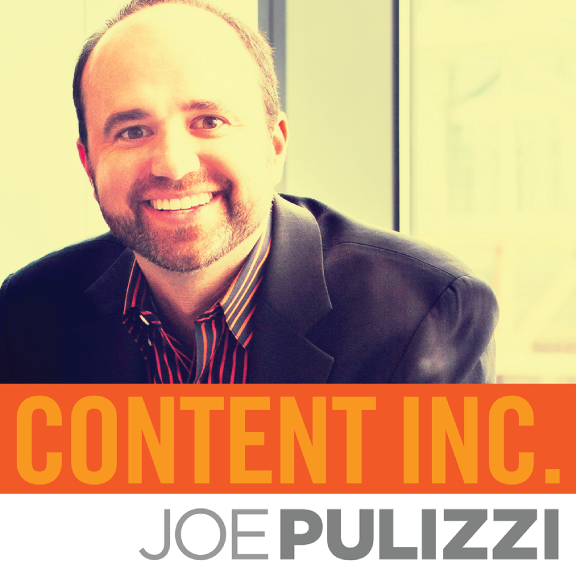 Joe Pulizzi is founder of Content Marketing Institute, the leading education and training organization for content marketing, which includes the largest in-person content marketing event in the world, Content Marketing World. Joe is the winner of the 2014 John Caldwell Lifetime Achievement Award from the Content Council. Joe’s third book, Epic Content Marketing: How to Tell a Different Story, Break through the Clutter, and Win More Customers by Marketing Less was named one of “Five Must Read Business Books of 2013” by Fortune magazine. Joe not only writes one of the most influential content marketing blogs in the world, but he also he writes a column for Entrepreneur.com and LinkedIn. You can also hear Joe on his inaugural podcast with co-host Robert Rose, This Old Marketing. If you ever meet him in person, he’ll be wearing orange. You can find Joe on Twitter @JoePulizzi. Each episode will have one lesson or key takeaway that you can use in your business or life. Joe shares personal anecdotes from his life as well as lessons learned from others that have shaped his entrepreneurial style. Learn more about the model dozens of successful entrepreneurs have used to create a profitable business using content. Download our guide, 6 Steps to Building a Content Inc. Empire. Content Inc. (the Book) is now available for purchase. Get the ultimate guide to the Content Inc. model today. Get in-depth education in person at the Content Inc. Summit. The Content Inc. Summit is held as part of Content Marketing World (September 9). Joe would love for you to review the show. Go to iTunes or Stitcher to share your thoughts on the show!